Owning a swimming pool can be one of the most rewarding experiences of your life. Time spent outdoors with family is a gift to be cherished. Maintaining your pool however, can be a frustrating experience. Orange Tree Pool Service technicians repair almost everything having to do with your pool. If your system doesn’t look or sound right, give us a call. With over 75 years of combined experience in pool repairs, we offer the following specialty pool services. Is your pool plaster looking a little dingy? It might be time for an acid wash. The acid-wash process strips the top layer of pool plaster, revealing fresh plaster underneath. Its often called a “drain and clean”. A new acid wash can deliver a fresh, new clean-looking appearance to your pool. In some pools, algae has become such a large problem, its no longer possible to fix with just the regular chemical treatment. In this case, a chlorine bath may be in order. A chlorine bath is a non-abrasive treatment of chlorine to your plaster. Similar to an acid wash, your pool is drained and treatment applied to the plaster. This process will leave you with an algae free swimming pool. 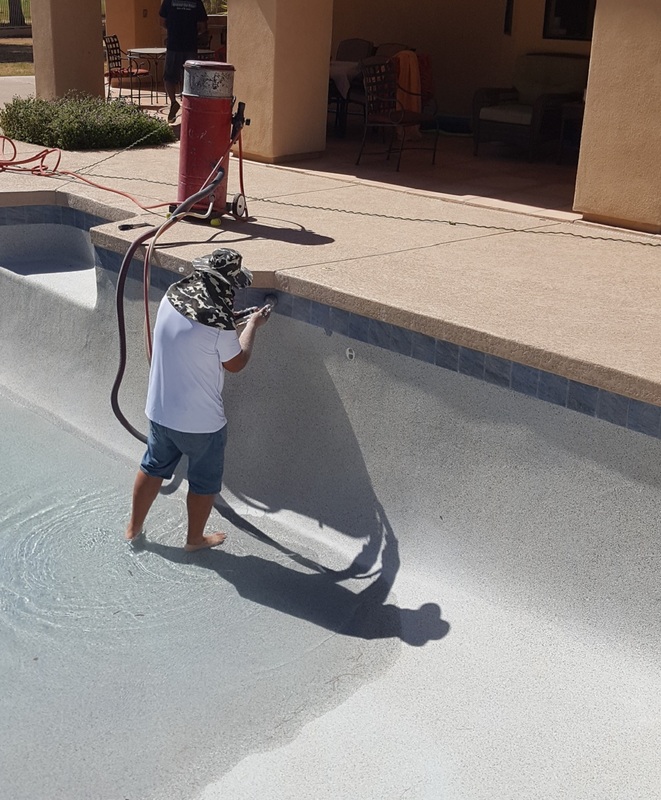 Using our advanced bead blasting equipment we can remove the calcium ring from the tile caused by our hard water in Arizona. Please call us for more information. If your pool, spa or fountain has a leak, you will notice air in the circulation system, see cracks in the cement, or notice irregular wet spots, call us today for a leak detection quote!